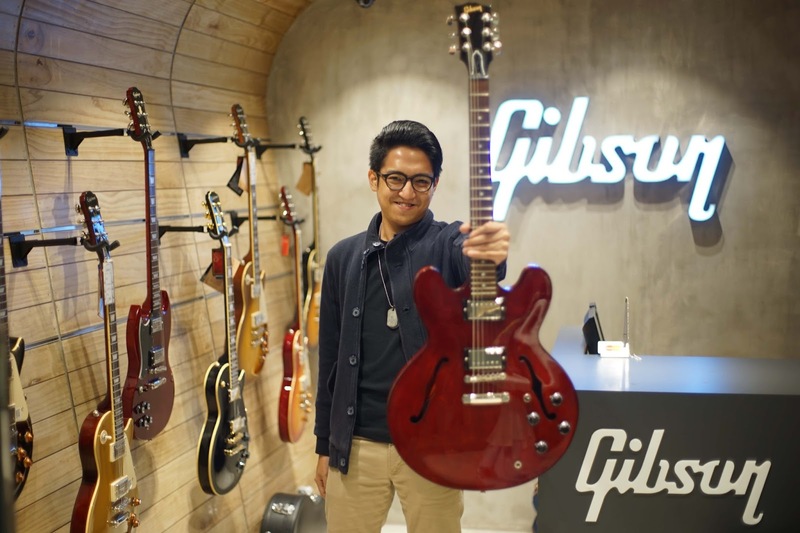 Gibson is one of the few guitar brands that stand out in the local music industry. Among music-loving Filipinos, Gibson guitars are a favorite. 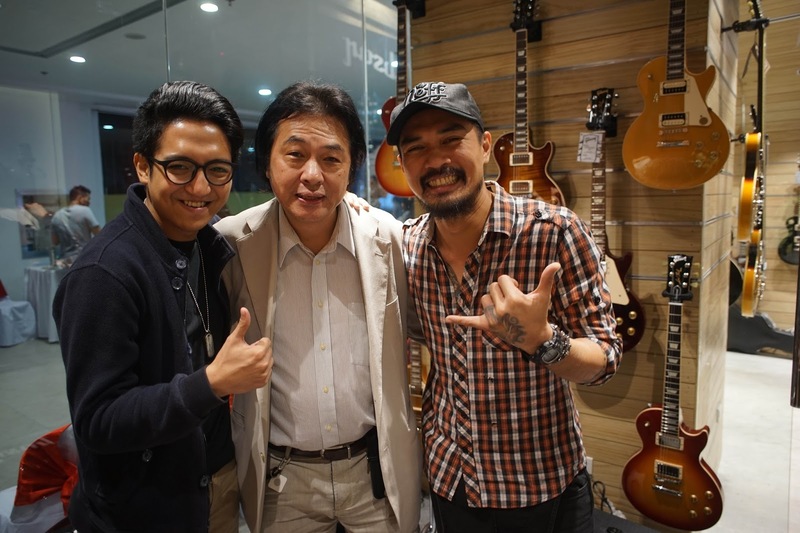 Now, the iconic brand connects to more guitar lovers as it unveiled its second store at Vertis North in Quezon City. The new Gibson store is a guitar enthusiast’s heaven, complete with classic electric guitars like the Gibson Les Pauls, beautifully-crafted Gibson Acoustics, and more. 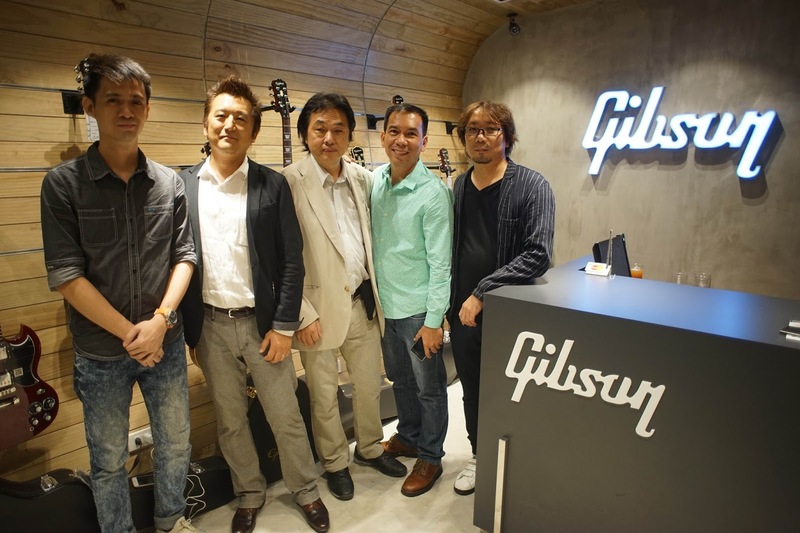 “Gibson is connected to music and music connects people. Historically, we go way back, so it has been more than 120 years of supporting music and people,” said Yasuhiko Iwanade, president of Gibson Guitar Corp. Japan, as he talked about Gibson’s legacy and how, from its humble beginnings, Gibson has never lost sight of the vision of bringing people closer to music. But despite the brand’s global success, Iwanade shared that it is still important to think local and understand musical taste and preferences to connect to more people. 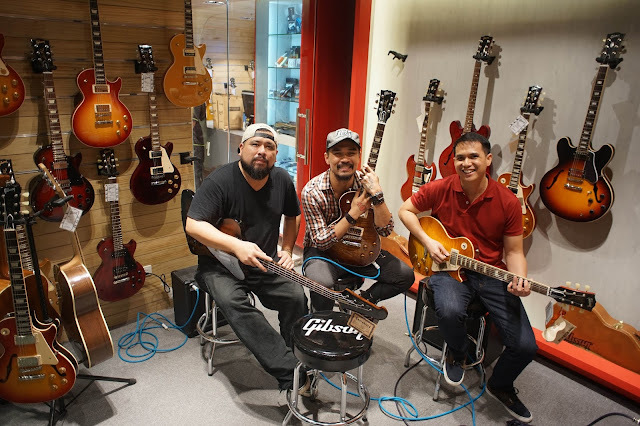 That is why Gibson supports many of the country’s local bands, including Franco, Kjwan, and Bleu Rascals. At the store opening, all three bands admitted that it was an honor to be ambassadors of such a prestigious brand and felt undeserving of the title. “You make yourself deserve it,” said Kjwan’s Marc Abaya, sharing that despite their apprehension, being Gibson ambassadors and holding the iconic guitar made them want to be better musicians and live up to the brand. Known as “The Standard” among many musicians, Gibson guitars are famous for their unmatched sound and guitar tone. Its versatility, playability and over-all quality are a performer’s ultimate ally. “It’s comforting to feel that we have the best guns with us,” said Dave Delfin, bassist of Franco. But Gibson also adds a human touch, every purchase of a Gibson guitar includes a picture and a signature of the craftsman who put his heart and soul into making the guitar masterpiece. 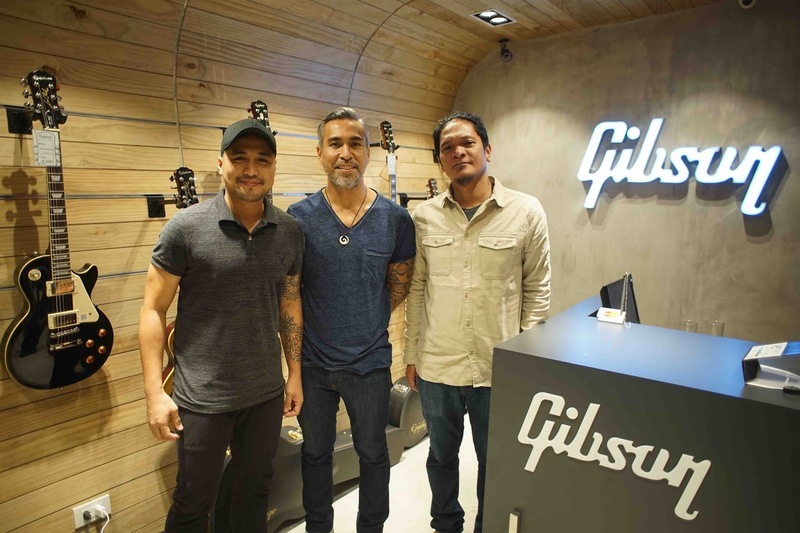 “We have plans of expanding further to give Filipinos more access to our products, especially the newer models which we will launch soon,” said Fidel Zamora, Gibson Philippines Retail Sales Manager, as he talked about the possibility of launching the Slash collection and the Gibson 2018 line. On a global scale, Gibson plans to expand its brand into lifestyle categories to connect more people with music all while keeping its tradition of quality. The newest Gibson store is sure to delight music lovers and guitar collectors with their stunning guitars up for display and free to try out. So what are you waiting for? Go and check out the Gibson stores at the Estancia Mall, Capital Commons in Pasig City and Vertis North to get your dream Gibson guitar!